Simple Braids, Updos and flowers in her hair. 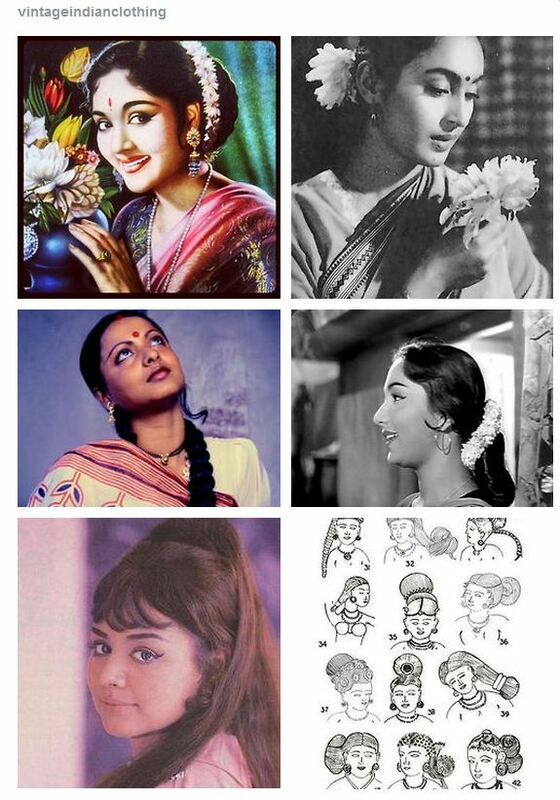 This entry was posted in 1950s, 1960s, 1970s, 20th century, Ancient India, Early 20th Century, fashion, Flowers, Hair, Tumblr and tagged flowers, flowers for the hair, gajra, hair, hairstyles, Indian Women, jasmine, women. Bookmark the permalink. Hey! Can you provide me with the source of the last image? It’s from Social Life in Medieval Karnataka by Jyotsna Kamat.